In college I worked as a Researcher/Writer for the National Scenic Byways website. Basically I got to read and write about different places around the country I was too poor to visit. It was awesome. 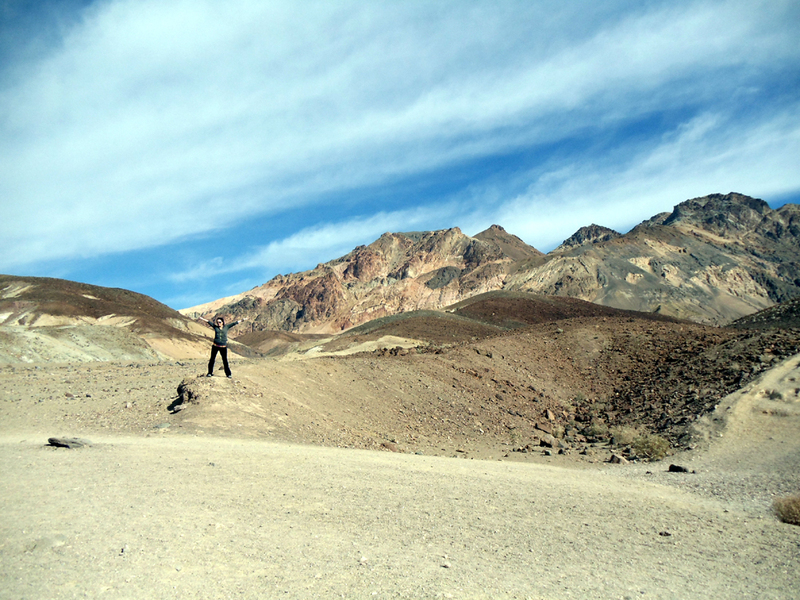 Death Valley Scenic Byway was my fav. I wrote this little snippet back in 2004. That’s as in-depth as our intros may have been but I read about it for hours. I felt like I knew it well because I was so fascinated by the weirdness of it and vowed to make it there one day. Eight years later I finally planned a from-Vegas road trip to Death Valley, armed with my Holga. Here’s a bit about our day-trip. My initial impression of the place – it goes on for what feels like forever. And because it’s just hills and valleys as far as you can see, impressive and shocking landscapes unfold along the drive as you wind around. The entire place, at least in January, is very sparse, baron, and other-worldly. But it’s washed in pastels, layered with bizarre textures, and so peaceful. Artist’s Drive is a gorgeous geological loop. 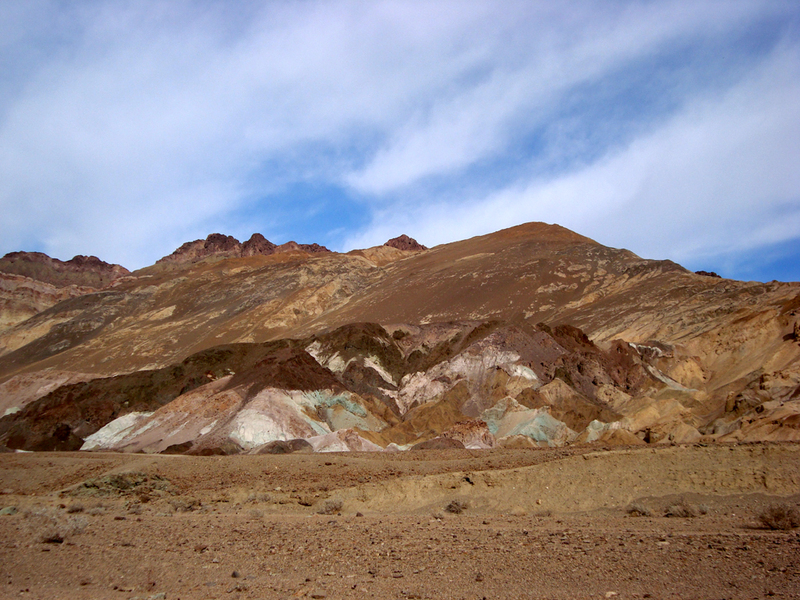 The minerals of the earth gave the place a watercolor effect – greens, pinks, blues, yellows. 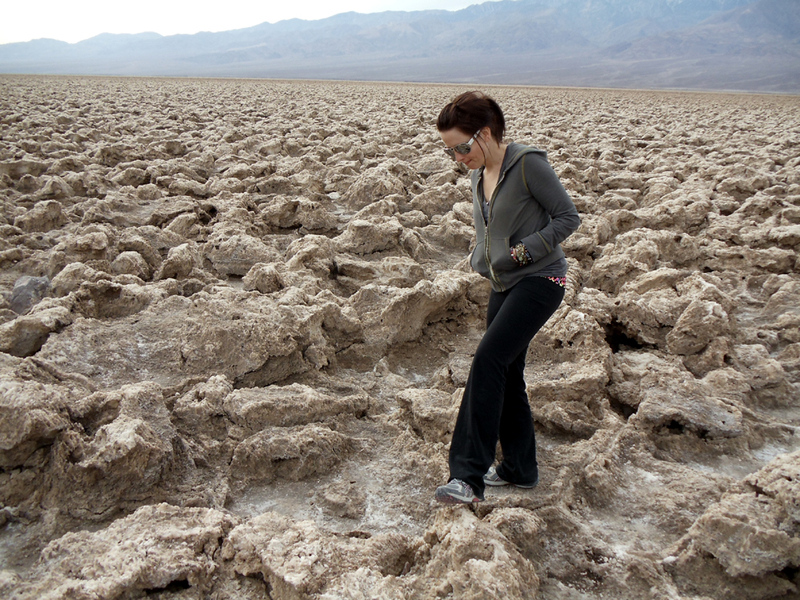 My favorite place was Devil’s Golf Course. It’s beautiful and ugly at the same time. 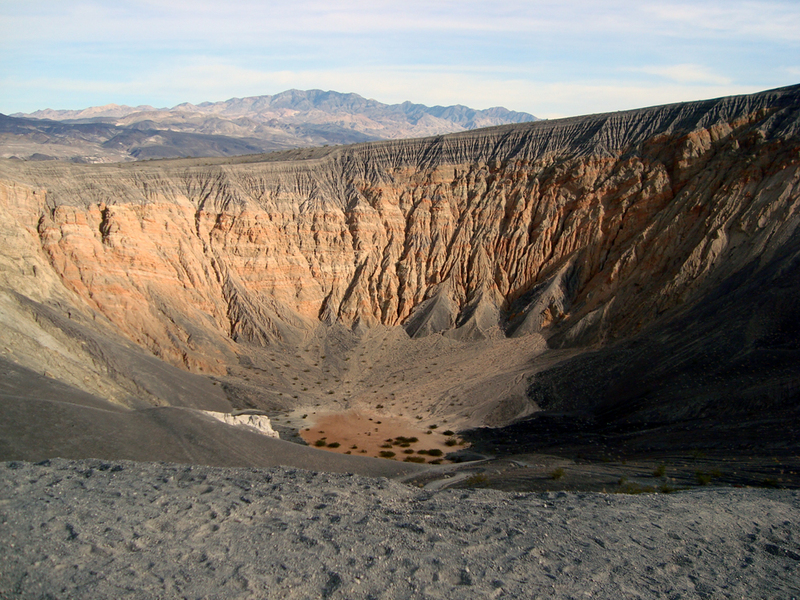 The mineral formations are hard enough you can stand on the thinnest, pointiest sections without even budging them. You could impale yourself if you fell down while walking through this. I imagine millions of people have tried to photograph this weird landscape only to be disappointed that the photos didn’t do the place any justice. It feels like you are on the edge of an uninhabited planet. 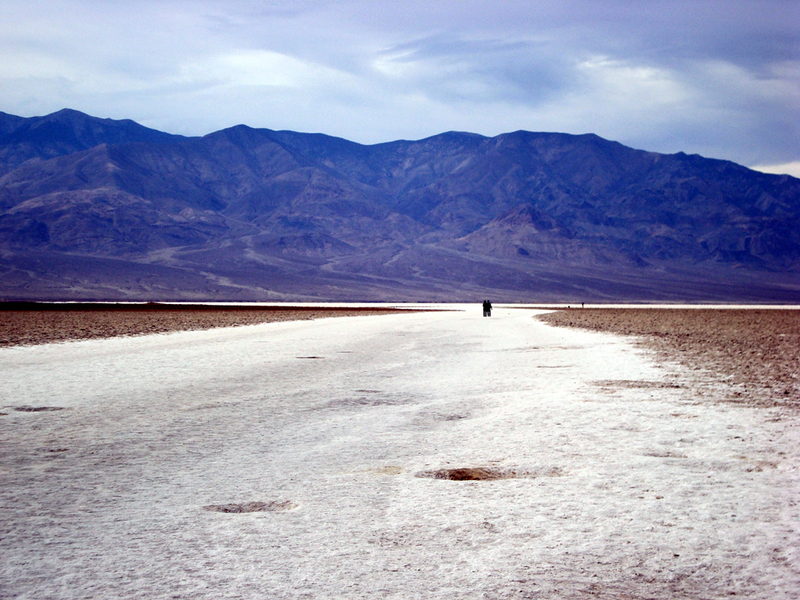 The Badwater salt flats area is the most bizarre to me because I saw people walking out miles in the distance through the flats. Just walking and surrounded by whiteness. It looks like the perfect location for alien abduction. Hoping my Holga pix turn out – I’ll be sure to post if they do! i heart byways. and this is so awesome. i want to go to there. Me too. Had to give em’ a shoot out. 😛 Miss that gig! These pictures are great and really does look like visiting another world. What a strange and amazing planet we live on. Previous Previous post: 5 year bloggiversary.